Are you a blogger? Do you feel called to write? Do you sometimes get frustrated by technology? Hung up over the nitty gritty, behind the scenes? Fistbump Media exists to help people like you and me. One of their mottos is, “The web made awesome for writers.” Who can resist that kind of promise? Fistbump Media is one of the sponsors of our Five Minute Friday Retreat, and today I’m thrilled to be able to share more with you about the heart and mind behind this company. I had the opportunity to interview Dan King, founder and president of Fistbump Media. 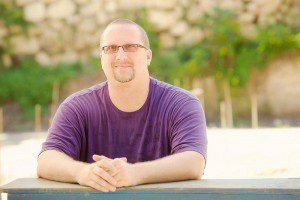 Dan King is the President of Fistbump Media, LLC, a web hosting and design, social media, and publishing company based in Sarasota, FL. He is an author, blogger, and an editor for The High Calling. He’s married to Krista, and they have three amazing kids and a Miniature Schnauzer. His answers to my questions below make me love and appreciate Fistbump even more! 1. Share the heart behind Fistbump Media. I’ve been a blogger for a long time, and I’ve seen how our ideas and stories can make an impact and change things in individuals and in communities. And you don’t have to be a big rock star to have an impact. You just have to be willing to share your voice. Additionally, of all the bloggers I know, most of them got into it because they love and/or felt the call to write. Very few of them ever did it because they want to be webmasters. That’s where my many years of experience in working in technology and design come in. Not only do I understand what it’s like to be a writer with a story and ideas to share, but I also get the technology and how it can be leveraged to maximize impact. So our primary goal is to leverage that technology experience to help others so they can focus on the piece that they are good at and love doing. I regularly tell people that they can do anything they can dream of, and I want to remove any technology roadblocks for them. 2. In what ways do you see your work as ministry? This is the really cool thing for me. I get excited just being a part of someone sharing their story or message. My name doesn’t have to be on the cover in order to be part of changing someone’s life. When someone comes to me and tells me they feel like God wants them to get something out there, but they don’t know how, then I can help deliver that message to where it needs to go. And when that message reaches someone who needs it, maybe by reading the e-book I helped produce, then I know I had a part in that. They are reading it because I was able to step in and get it there. I like to think of it this way. Guys like Paul, Luke, and John (and many more) wrote some incredible, life-changing pieces of literature. But without the nameless scribes who copied and helped spread those writings, we wouldn’t have the New Testament. I get to be like that! God puts something on someone’s heart, I help ensure that it gets copied and spread to where it needs to go. And it’s amazing just to be a part of that! 3. What are some specific ways you enjoy helping writers and bloggers? Oh man… LOTS of ways! One big thing is that with getting a message out, there’s a definite strategy to how to be successful. I love digging into the data on various projects to see how different actions impact results. And I usually try to let the data drive how we develop a strategy. So providing information and resources to help people understand the how and why of the things they should be doing is one way I can ensure we’re amplifying their voice. That’s why for me, I’m not just about trying to get people to hire me to do everything for them. Education is a big thing for me. That’s why I like to do free webinars occasionally. People can come learn, and take the information and do whatever they want with it. We’re also developing tools and resources to help people do things like self-publishing with the same high-level of excellence they’d get if it were my own project. 4. What words do you have for the blogger who is feeling discouraged? And I’ve learned over the years that it’s not about reaching the masses and getting a book on the New York Times bestseller list. It’s about reaching the lives you can reach. I think about your e-book, Kate. Letters to Grief is going to get picked up by someone who is having a tough time dealing with some sort of loss, and it’s going to bless them. If all the work was for that one person, then it was totally worth it! Do that, and do it well, and it’ll be worth it. Amen! Thanks for your words and your ministry, Dan! Want Fistbump to do an analysis on the design and structure of your website? They’ll do it and give you a report for just $5! Such a steal! Click here for more details! 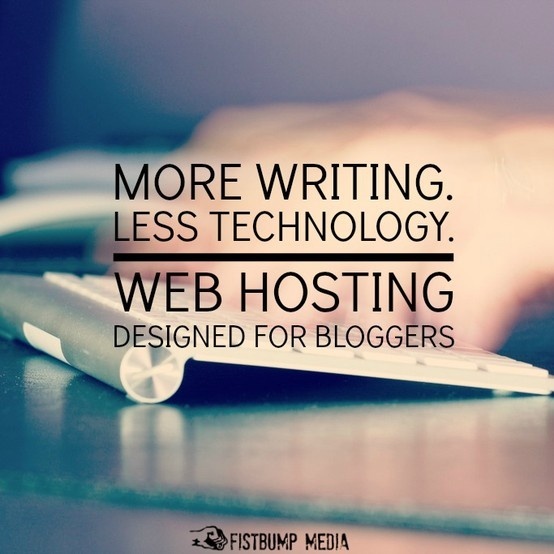 Fistbump is passionate about helping YOU take charge of your publishing goals. You can follow Fistbump Media on Twitter @FistbumpMedia and on Facebook by clicking here. Thanks again, Dan, for all the work that you do, and for supporting the Five Minute Friday Retreat!